“In the following days after my healing session with Melissa, I experienced profound mental shifts that has affected both my personal and my business life. The mental fog I had previously been in for months, lifted, giving me greater clarity and the ability to communicate effectively and authentically. I’d been going through a lull in my business which was one of the biggest blocks I knew I wanted to shift. I’ve been using law of attraction techniques to clear this myself and it wasn’t working. Within 4 days of my healing session with Melissa, I’ve attracted almost $20K worth of contracts! I am AMAZED!! 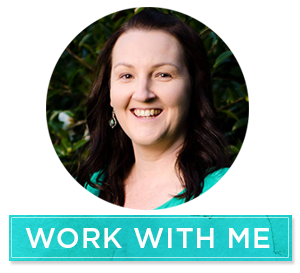 “I decided to have an energy healing session with Melissa from Pure Energy Therapies after feeling stuck within my business. I didn’t know what to expect as I had never experienced anything like that before. Melissa was very understanding at my apprehension. I had the session and after it I felt lighter. I felt more inspired to put myself and my business out there to be seen. The thing that surprised me the most since having my session with Melissa is that I feel something definitely shifted with regards to my relationship. My partner and I have been together for over 8 years and I can honestly say I have never felt the love so strong between us as much as I do now. I have never felt more loved by anyone in my entire life. We are so much more closer than we have ever been and we even talk about the day we will get married which I never thought would ever happen. The thing that amazes me is that I was the one who had the energy healing session with Melissa but somehow it has “rubbed off” on my partner and for that I am truly grateful. “I just wanted to write to you & say thank you for the lovely healing energy session you did with me. I have never done anything like this before so was both intrigued & a bit hesitant. You put me at ease immediately by answering my questions & with your beautiful soothing voice. I am unsure how you did it by Skype but, frankly I do not care. I loved working with you & felt calm, light, warm – hugged actually & trusted you through the session. “During the session I felt excited. I love how even though we were skyping, you still connected so well with me and it was a truly amazing experience even though you were thousands of kilometres away. Immediately after our session I felt super grounded, like I hadn’t felt quite possibly in a decade, or maybe even EVER. Overall, I absolutely LOVED what you did, and I will be recommending your services to friends and family. I think giving a gift of a session with you would be incredible for a friend or family member, regardless of their situation. I found you easy to talk to, and great to deal with at every point.